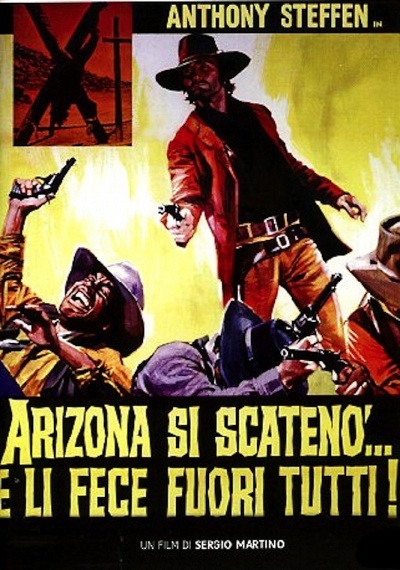 Movies by genre: Western :: RabbitTV GO! Gary Hamilton, innocently sentenced to ten years in prison is released. 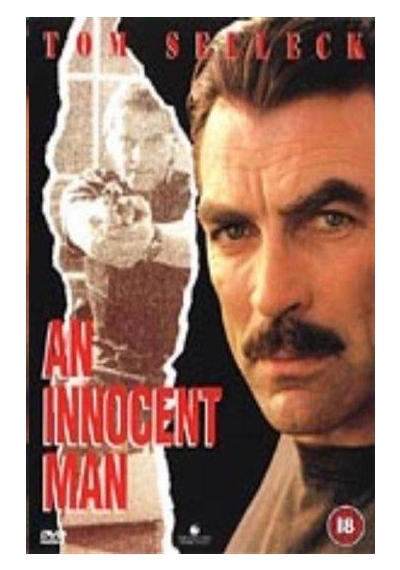 When he comes out he promises himself to seek revenge on the guilty. 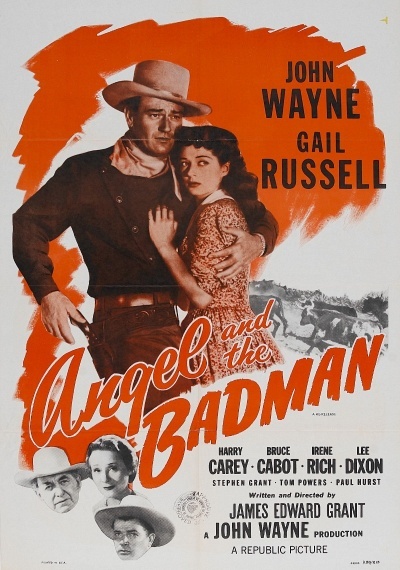 A remake of the classic 1947 John Wayne western about an injured gunslinger who falls in with good company in the form of some Quakers. 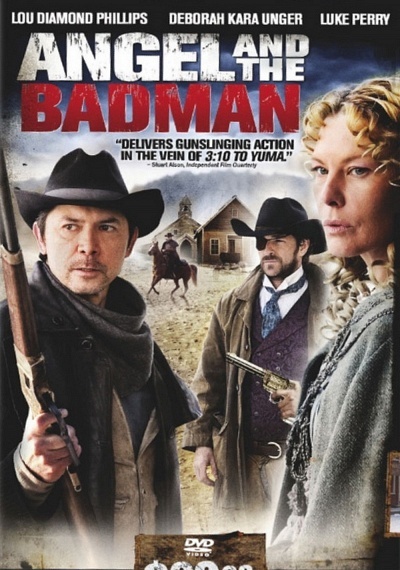 A notorious gunslinger, reformed by the love of a Quaker girl, must choose between vengeance and the woman he loves. 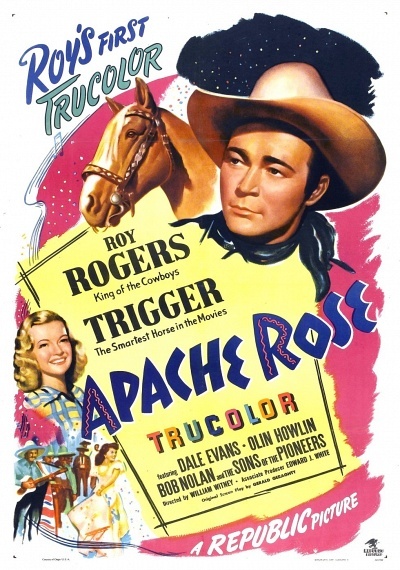 A colorized version was released on home video in 1991. 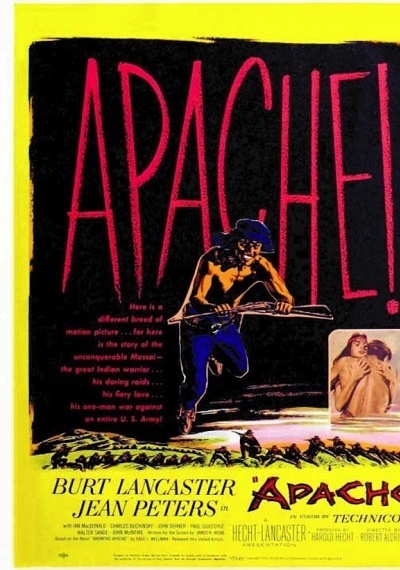 One of Geronimo's subchiefs, Massai, is the only Apache who refuses to surrender after Geronimo's death, and conducts a one-man war against the white man for his tribe's rights…battling for the West with knife, arrow and gun. 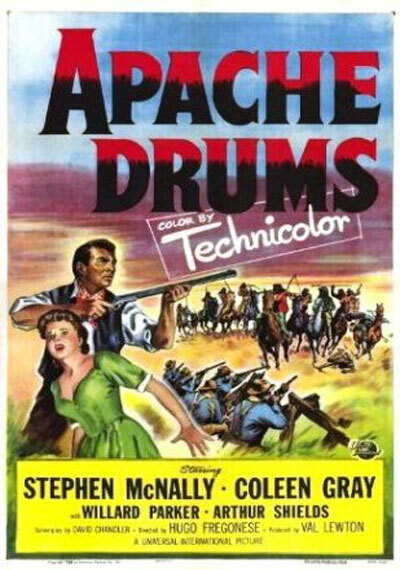 Based on the novel "Bronco Apache" by Paul I. Wellman. 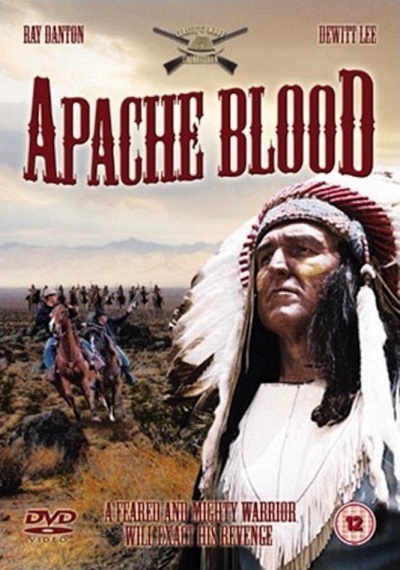 A criminal gang provokes the local Apaches in order to divert the authorities' attention from their own activities. 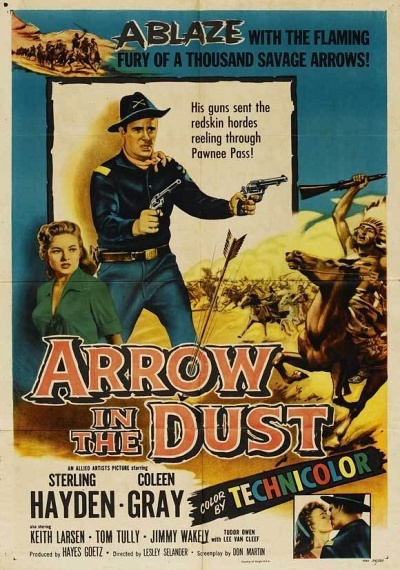 A gambler is thrown out of a western town, but returns when the town is suddenly threatened by a band of marauding Apaches. 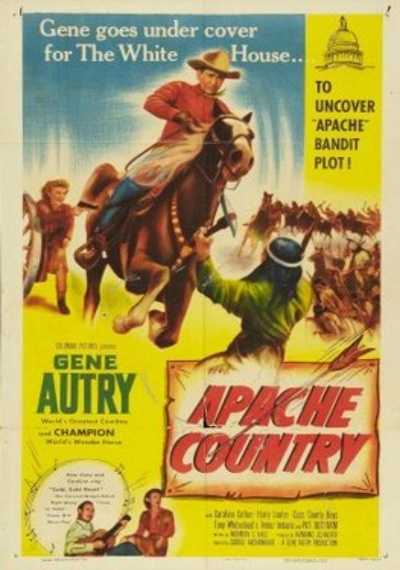 A young cavalry officer is assigned the job of bringing in a band of Apaches who have been terrorizing the countryside. 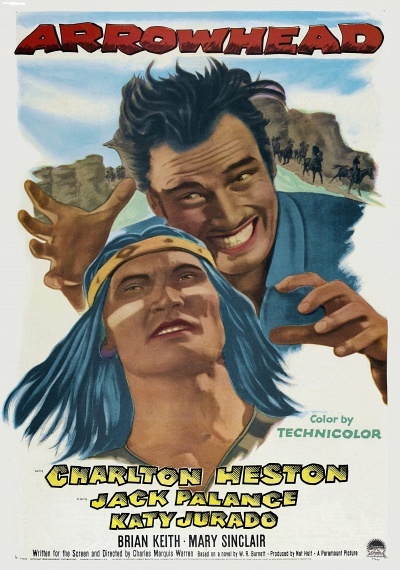 Calhoun stars as a drifter who finds himself helping a group of backbiting settlers under Indian attack. 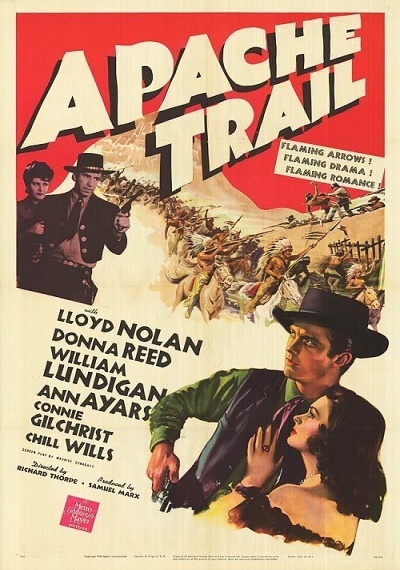 Most of the ungrateful pilgrims run to their deaths in spite of the cowboy's efforts to save them. 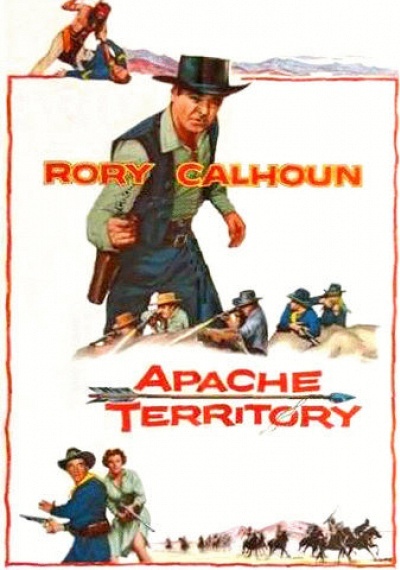 Calhoun eventually defeats the Indians and rides off into the sunset with Bates in this story based on a Louis L'Amour novel. 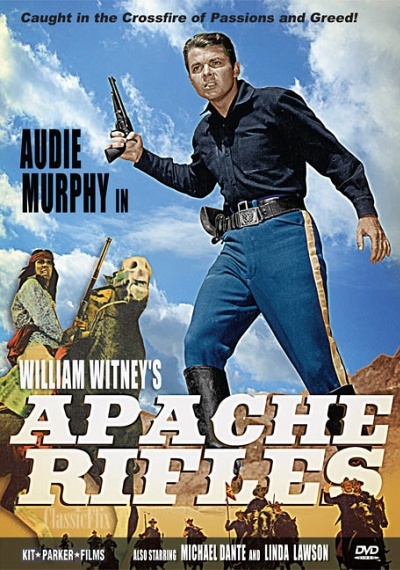 Western involving a Butterfield stage robbery and Apache Indian attack in post-Civil War Arizona territory. 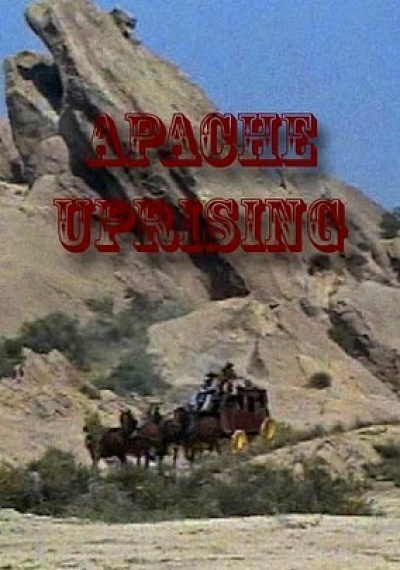 A killer joins stagecoach passengers under attack by Indians. 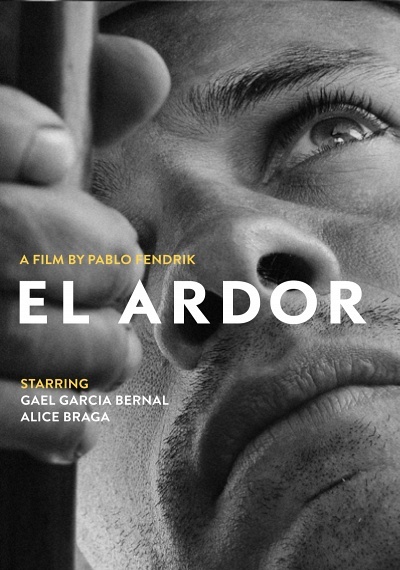 A rodeo star fights to mend his broken marriage. 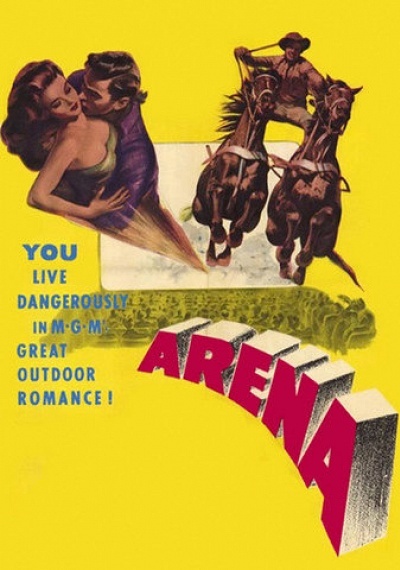 As the first female resident of a rowdy Old West settlement, tough-talking, sharpshooting Phoebe Titus (Jean Arthur) can hold her own against any man -- until she meets California-bound drifter Peter Muncie (William Holden), whose rugged charm prompts the plucky pioneer to soften her edges. 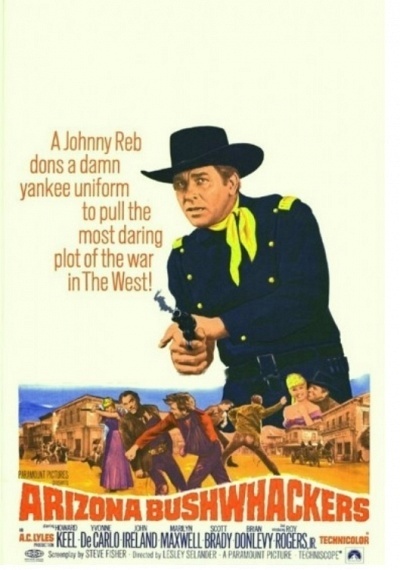 During the Civil War, a Confederate spy takes a job as marshal of a small western town as a cover for his espionage activities. 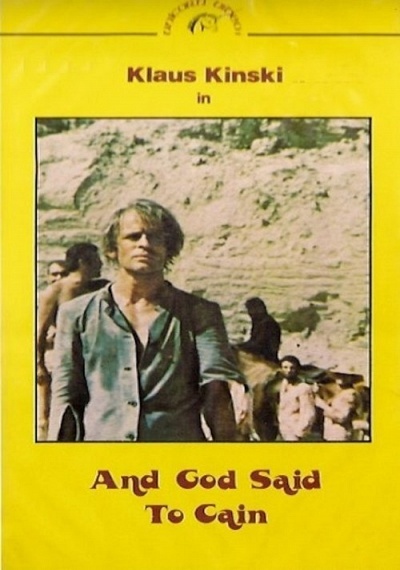 However, he soon finds out that a local businessman is selling weapons to a band of rampaging Indians. 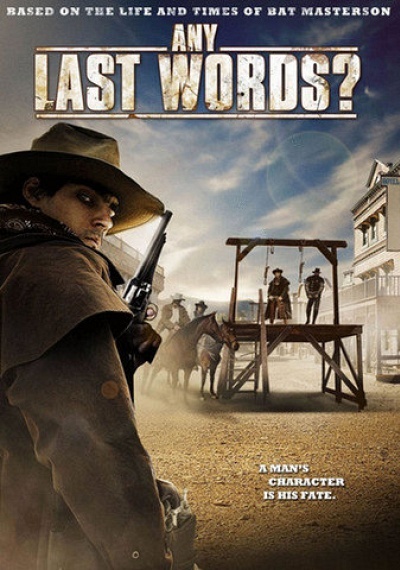 The rough and tough bounty hunter suddenly becomes the hunted when a $1,000 reward is put on his head for a stagecoach robbery he didn't commit in this action-packed sequel. 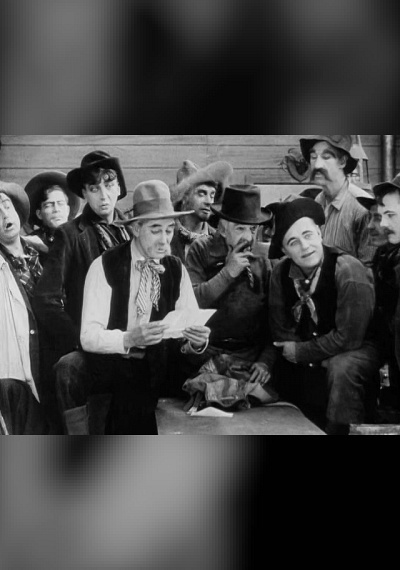 Tex and sidekick Grass join McGill's traveling show. 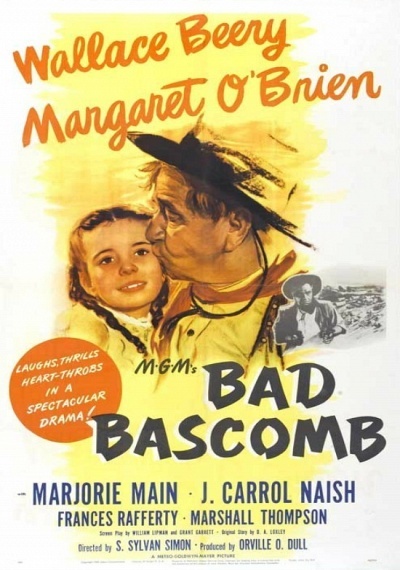 When Price has McGill's wagons burned, Tex becomes the county tax collector to earn money. This leads to trouble as one of those owing money is Price who says he will not pay. 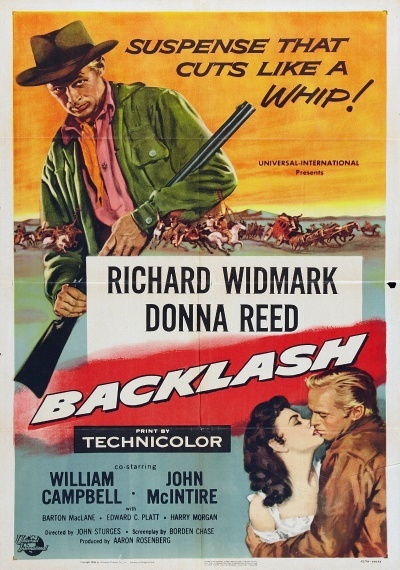 A federal agent infiltrates an outlaw band that's taken over a western town. 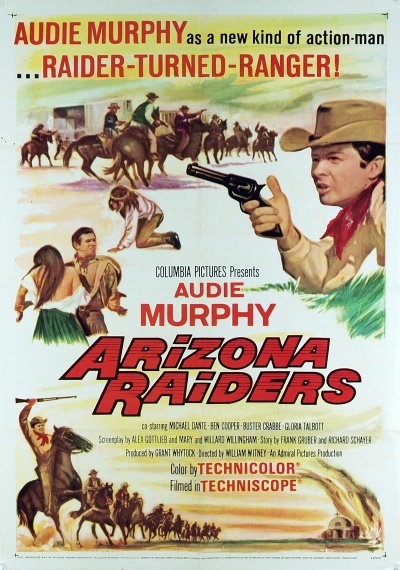 The film follows the saga of Quantrell's Raiders immediately after the Civil War. 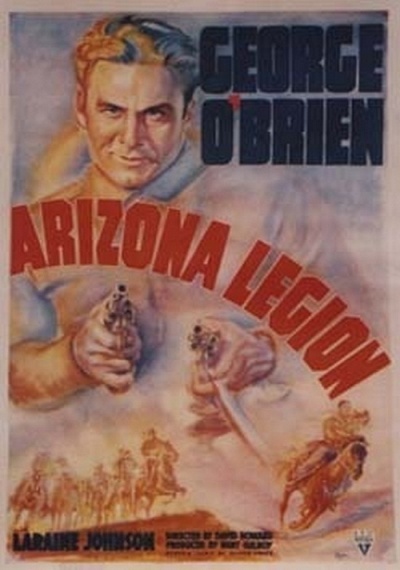 Two men join Quantrell's guerrillas as he is driven out of the South and into Arizona territory. 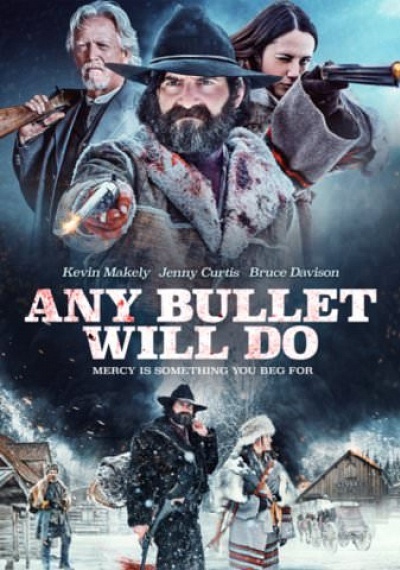 The pair are captured by a Union officer who gives them the option of 20 years of hard labor or full amnesty if they join him and help end Quantrell's bloody run through the territory. 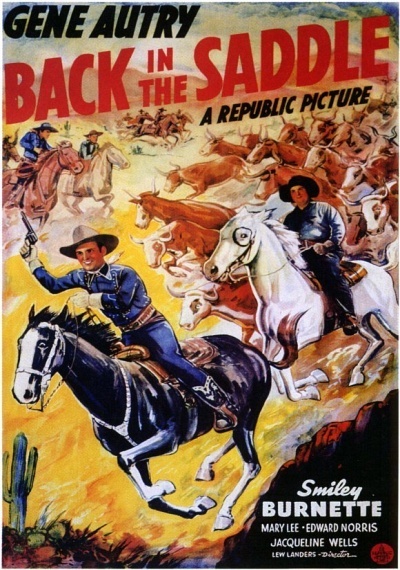 A wandering cowpoke (Tex Ritter) returns home and helps his father battle land-grabbers. 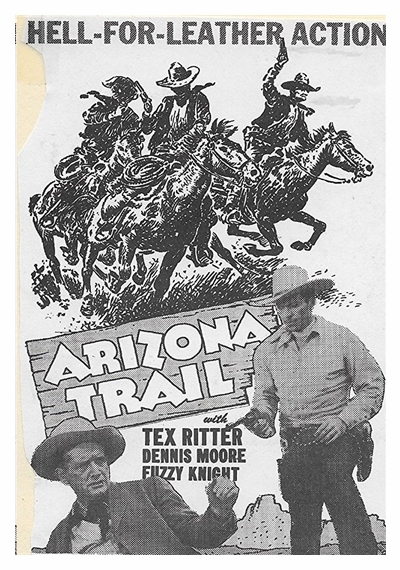 Fuzzy Knight, Dennis Moore, Janet Shaw, Jack Ingram, Erville Alderson. 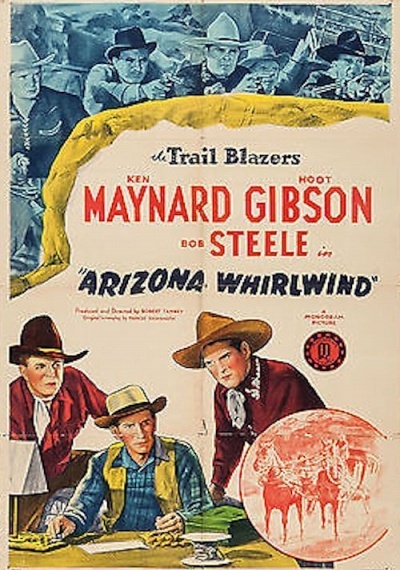 Hoot Gibson and the Trailblazers take jobs as telephone linemen to get the goods on a local banker who is the chief of a band of counterfeiters. 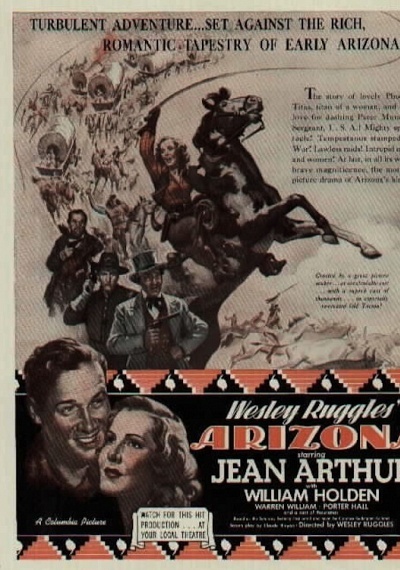 Director Lesley Selander's 1954 western stars Sterling Hayden, Coleen Gray, Keith Larsen, Tom Tully, Lee Van Cleef and Jimmy Wakely. 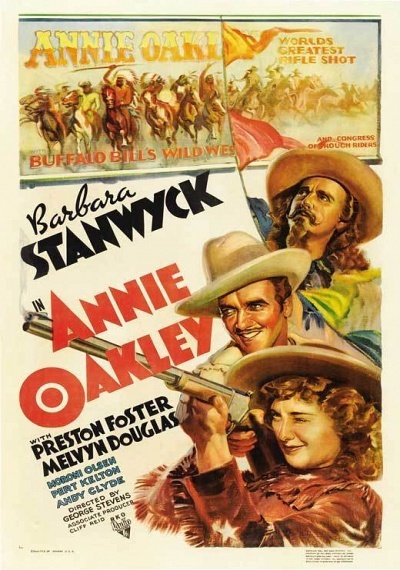 This western, with its simple story set in a gold mining camp, recycles many of the elements found in David Belasco's influential play, THE GIRL OF THE GOLDEN WEST, produced a decade earlier. 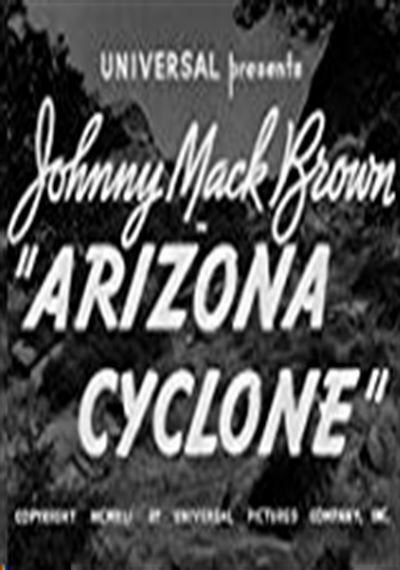 A preacher (Sorbo) becomes a bounty hunter after a group of refugees seeking shelter in his church is murdered by a gang of ruthless outlaws. 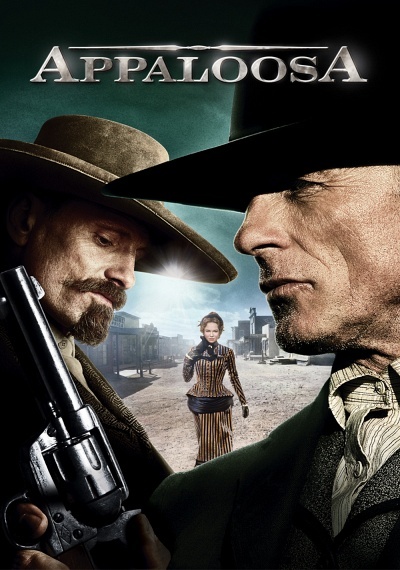 Gene returns from the East with new ranch owner Tom Bennett to find everyone's cattle dying. Blaine has reopened the copper mine and the waste is poisoning the water supply. 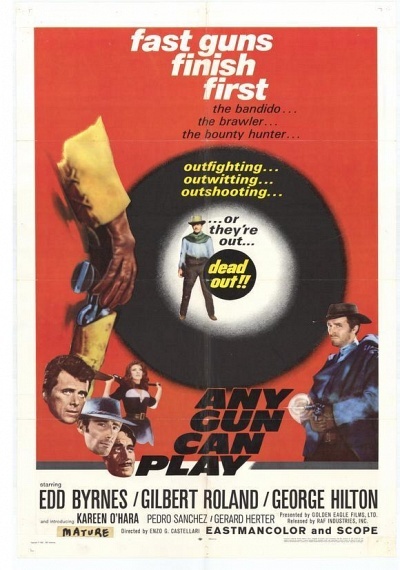 While Gene is away Tom confronts the miners and a man is killed in the ensuing gunfight. Now Gene not only has the dying cattle problem but his ranch owner is in jail. 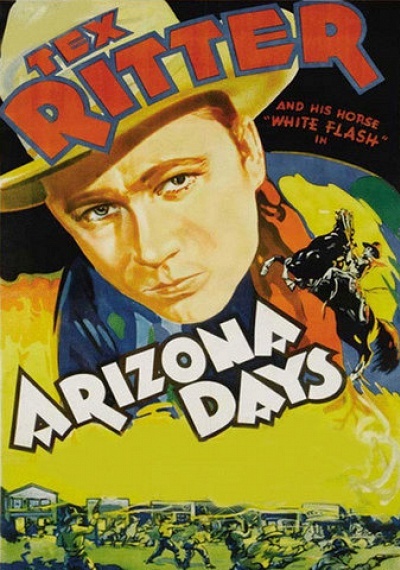 Jim Slater's father (whom he never knew) died in the Apache ambush at Gila Valley, and Jim is searching for the one survivor, who supposedly went for help but disappeared with a lot of gold. In the process, he gets several people gunning for him, and he keeps meeting liberated woman Karyl Orton, who may be on a similar mission. 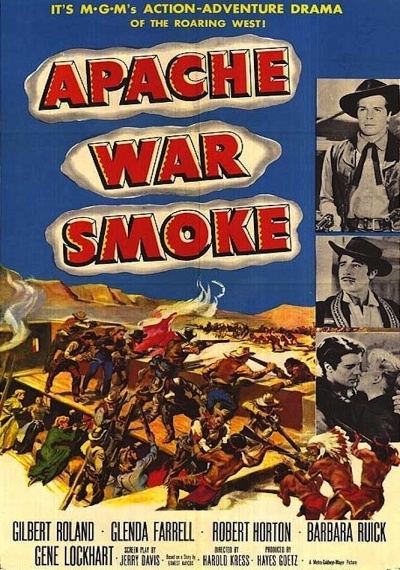 Renewed Apache hostilities and an impending range war provide complications. 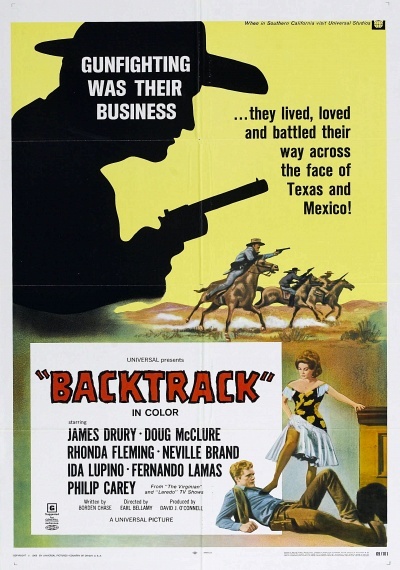 Sent to Mexico to buy a bull, a Wyoming cowhand (Doug McClure) teams up with three Texas Rangers to solve a robbery/murder. 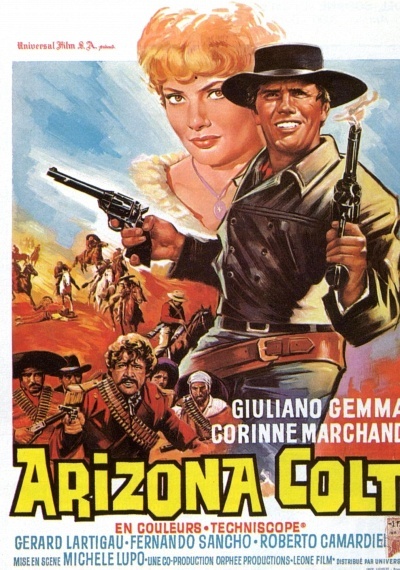 A western bandit is reformed by his love for a little girl.